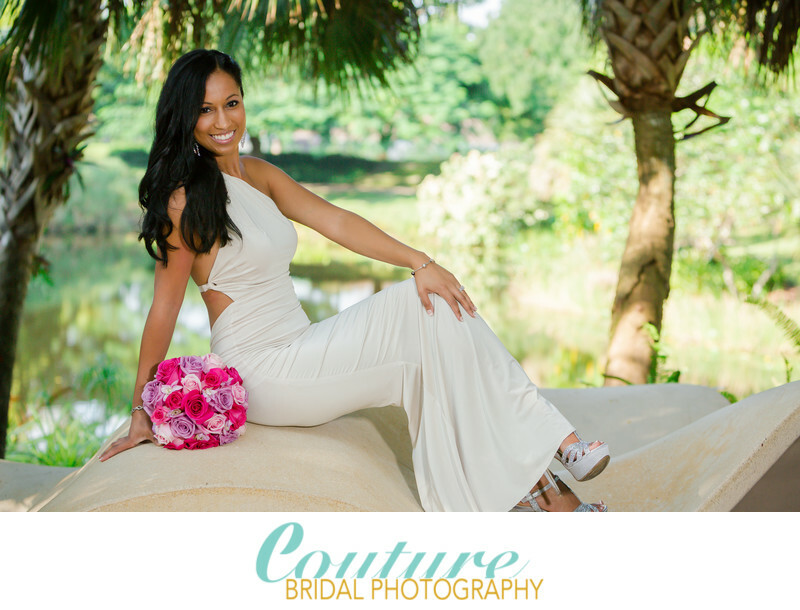 Couture Bridal Photography is rated among the top 3 Wedding Photography Studios in Fort Lauderdale Florida. As the top rated Fort Lauderdale wedding photography studio in Fort Lauderdale located at 601 North Rio Vista Blvd. Fort Lauderdale, FL 33301, we provide more couples throughout South Florida the best wedding photography over any other wedding photographer in Florida. Due to our popularity at Fort Lauderdale Beaches top wedding venues at resorts along the beachfront, Couture Bridal Photography also has offices located right on Fort Lauderdale Beach. Couples seeking the most elegant, romantic and timeless wedding photography on their wedding day choose us for the best wedding photographers in Fort Lauderdale. Fort Lauderdale Florida is located in Southeast Florida and is huge tourist destination with white sand beaches, amazing high end hotels and resorts, Golf Country Clubs and luxury shopping. Fort Lauderdale Florida, also known as the Gold Coast is one of the best places in the United States to host a Wedding! Fort Lauderdale offers a variety of venues for any kind of wedding from an elopement to an ultra luxury Wedding in an oceanfront hotel resort. Couples throughout South Florida and around the world can easily plan a wedding that suits their personal tastes and vision, all within their budget with some of the best Wedding vendors anywhere. Another desirable aspect for couples planning weddings in Fort Lauderdale is the proximity to three major airports, Fort Lauderdale International, Miami International and Palm Beach international and one of the largest cruise ports in the Southeast United States, Port Everglades. Having robust and convenient travel options make it easier for guests to attend weddings in Fort Lauderdale from anywhere around the world and offer fast and easy transportation options for newly married couples to honeymoons anywhere around the world. Fort Lauderdale offers a variety of Wedding venues from the beaches along the Atlantic ocean all the way west to the edge of the Everglades. The abundance of Wedding venues provides every bride with options, prices and decor to match the specific needs of each couple. I will list a few of our favorite wedding venues of which we are the preferred Wedding Photographers or Wedding Photography vendors. This is just a small list of wedding venues we have provided our Wedding Photography services at for brides and grooms since 2008 and are listed as or were at one point listed as the preferred Wedding Photography vendor. 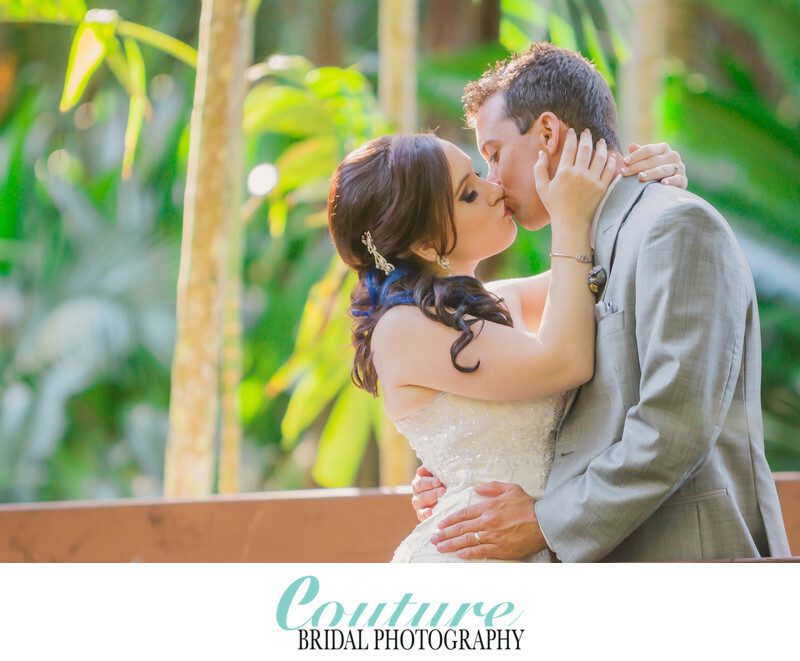 Couples looking for the best value and experience on their wedding day choose Couture Bridal Photography, as the top rated award winning Wedding Photography throughout South Florida. 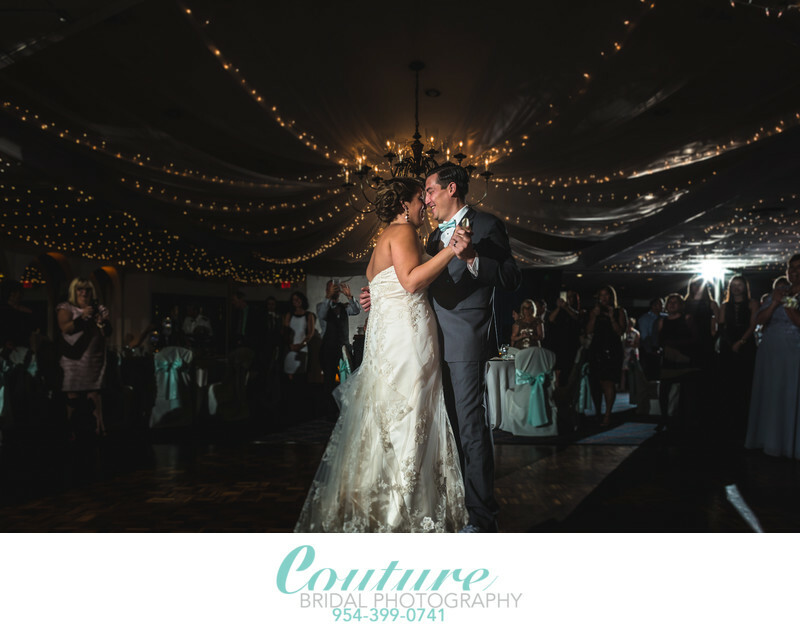 Based in Fort Lauderdale, Florida in 2008, Couture Bridal Photography has become the most sought out Wedding Photography vendor serving brides and grooms getting married in Fort Lauderdale and destinations worldwide. Brides and grooms planning to host their wedding photography look to Couture Bridal Photography for our unique and distinct Art Documentary Wedding Photography style with a fashion forward editorial style and our ability to tell a comprehensive wedding day love story with elegant, romantic and timeless Wedding Photographs. 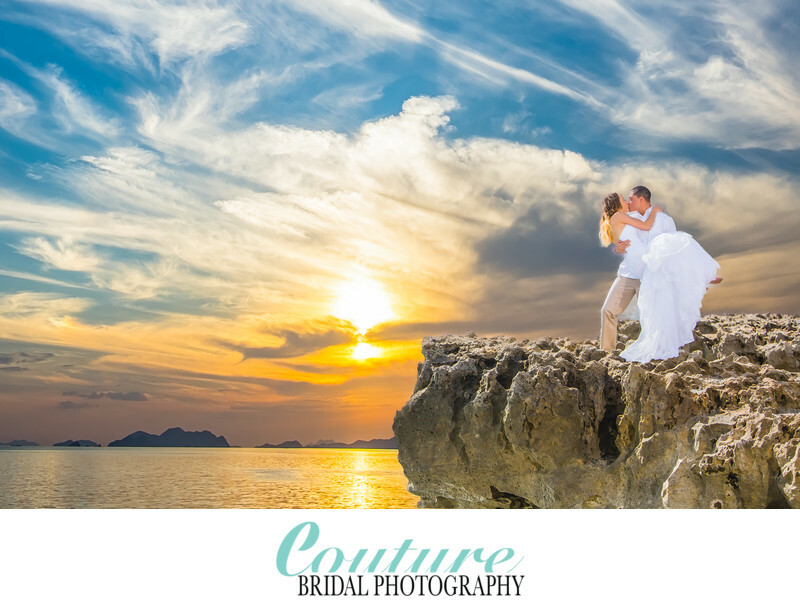 Additionally, Couture Bridal Photography crafts each Wedding Photography experience and package to work within a couples Wedding Planning budget. Couture Bridal Photography, also offers interest free Wedding Photography payment plans to ease the stress of planning a Wedding and working with a tight budget. In summary, Fort Lauderdale is an amazing place to get married. Easy access to transportation, Beautiful Weather, White sand beaches and a wide ranging choice of wedding venues and top rate vendors make Fort Lauderdale Florida the perfect choice for most couples living in Florida, across the country and around the world. We, Couture Bridal Photography, are listed among the top 10 Wedding Photography studios in South Florida and based in Fort Lauderdale with the experience, knowledge and tools to offer more than spectacular images, but deliver a complete Wedding Photography experience. The sound of the ocean and the swaying palm trees creates one of the most exciting and breathtaking settings for your oceanfront wedding. Although this venue is conveniently located only 15 minutes from downtown Fort Lauderdale and historic Las Olas Boulevard, it maintains the serenity of a secluded beach escape. There's something about the solitude and inherent beauty of the landscape of Ocean Sky Resort that lends itself perfectly to an ambiance of romance for your special day. Hold a perfect outdoor ceremony where you will walk down a white aisle on a beautiful sea-front balcony and take your vows under a stunning altar while the waves crash behind you. After the ceremony, move onto an outdoor balcony cocktail hour and then transition into one of the decadent ballrooms for a lavish night of dinner and dancing. Another huge bonus of this venue is the phenomenal getaway it will provide for your guests. The newly refurbished Ocean Sky Hotel & Resort offers a plethora of well appointed guest rooms, spa services, jet skiing, a huge pool deck with a tiki bar and all the endless fun that the Florida sun has to offer! Flexible set up start time. Early morning can be arranged. Events must end by 11:00PM. Prices vary depending on menu selections and packages. A minimum of 20 guests applied to all events. The venue allows 10 hours of event time including set up and clean up time. The fee for a ceremony only wedding is $1,000 plus 20% service charge and 6% sales tax. Please note that there is a food and beverage minimum applied to all events. The average wedding cost at Ocean Sky Resort is estimated at between $11,312 and $20,789 for a ceremony & reception for 100 guests. The Ocean Manor Beach Resort is a peaceful and serenely romantic venue for your wedding ceremony and reception. Located directly on the beach, your guests will be in awe of the beauty and magnificence of your special day. The beautiful oceanfront setting along with personalized attention and professional service will ensure a day that will never be forgotten. Imagine a beach ceremony in which you walk down the aisle with sand between your toes to say your “I Dos” under a class white arch with the calm, serene Atlantic Ocean as your picturesque backdrop. A reception in either the exquisite banquet room or luxurious, state of the art penthouse. With elegant vaulted ceilings and chic décor, your Ocean Manor Beach Resort wedding will be beautiful and unforgettable. To fit your vision as well as your budget. The cocktail hour/reception venue allows 4 hours of event time the site & set up fees range from $1200.00 to $2100.00 and includes the wedding ceremony, cocktail hour site and reception site. The wedding ceremony is not part of the cocktail hour or reception time. Also included is rehearsal walkthrough. Our in house coordinator is on sight to ensure each event to be tailored with personalized attention and "Memories" that will never be forgotten. The average wedding cost at Ocean Manor Beach Resort is estimated at between $13,274 and $20,728 for a ceremony & reception for 100 guests. Whether you dream of saying “I do” in front of a few family members, or can’t imagine celebrating without a few hundred of your closest friends, Fort Lauderdale Marriott Harbor Beach Resort & Spa can create a day that’s as special as your love. With elegant spaces, custom catering, and personalized service, the resort can take your wedding wish list and transform it into a celebration to remember! Situated on 16 secluded oceanfront acres on South Florida’s largest private beach, the spacious resort affords you a myriad of venue options in an incomparable tropical setting. Whether you want to be indoors, outdoors, or both, Fort Lauderdale Marriott Harbor Beach Resort & Spa can arrange the wedding of your dreams—from an intimate beach ceremony to an extravagant ballroom event. Let warm sands and spectacular ocean views enchant you and your guests in a beautiful beachfront ceremony. Or exchange vows in a ceremony on an outdoor terrace. Lushly landscaped, beautifully lit, with cozy seating alcoves and fire pits, you get the same stunning ocean backdrop without the sand in your shoes. The Ocean Ballroom is just one of three magnificent ballroom spaces. With 80 feet of floor-to-ceiling windows, The Ocean Ballroom overlooks the beach and the Atlantic Ocean beyond! Set up time can start 3 hours prior to event start time. Events must end by midnight. The rental fee begins at $2,000 for ceremony and reception and the venue allows 5 hours of event time excluding set up and clean up time. The fee for a ceremony only wedding is $5,000. A refundable security deposit of $100 is required. The average wedding cost at Fort Lauderdale Marriott Harbor Beach Resort & Spa is estimated at between $25,042 and $25,241 for a ceremony & reception for 100 guests. The Lauderdale Isles Yacht and Tennis Club is the perfect relaxed and charming space for your ideal Fort Lauderdale wedding celebration. Founded in 1953, the Lauderdale Isles Yacht Club has been an integral part of the Lauderdale Isles neighborhood for over six decades, providing residents a gathering space. This long history of providing a place to come together and celebrate will radiate through your celebration as the space offers a truly warm and inviting atmosphere for your guests. For an outdoor venue option, the Rivers Edge Grill offers a beautiful environment surrounded by views of the gorgeous Florida landscape for your celebration. Nuzzled between the pool and the New River and bordered by the tops of towering palm trees, the space provides a great south Florida dining experience with a spacious deck overlooking the New River perfect for eating, drinking, and celebrating! For an indoor space, the Banquet Hall features tall ceilings and a huge dance floor perfect for a long, unforgettable night of celebrating your special day. The rental fee ranges from $850 to $950 for a ceremony and reception and includes 7 hours of event time excluding set up and clean up time. A refundable security deposit of $250 is required. The average wedding cost at Lauderdale Isles Yacht & Tennis Club is estimated at between $6,953 and $17,282 for a ceremony & reception for 100 guests. Tucked away in the historic district of Fort Lauderdale’s Riverwalk Park, the 1905 New River Inn is an ideal location for a vintage Southern-style wedding. Originally constructed by the area’s first successful contractors and operated until 1955, this gorgeous Inn – now an intriguing museum and home to the Fort Lauderdale Historical Society – offers a versatile venue for romantic occasions! Say your vows before all of your closest friends and family beneath the charming white gazebo, sealing the deal with a kiss amid a cloister of mature trees. As your guests enjoy cocktails on the veranda, take tons of gorgeous wedding photos among some of the most significant and beautiful structures in the city! Once you have filled your future wedding album, dance the night away beneath an airy white canopy on the Inn’s front lawn. The open air tent will allow guests to mingle and dine while enjoying a cool breeze and the lush greenery of the museum’s grounds. This romantic outdoor space is also highly customizable, allowing each and every couple to personalize it to their own unique tastes! Set up time can start at 2:00PM. Events must end by 11:00PM. The rental fee is $2,100 for a ceremony and reception and includes 5 hours of event time excluding set up and clean up time. Additional hours can be arranged for a fee of $500/hr. The average wedding cost at Fort Lauderdale Historical Society is estimated at between $10,527 and $20,051 for a ceremony & reception for 100 guests. A storybook wedding awaits you at Lighthouse Point Yacht & Racquet Club! From the club’s tastefully appointed and inviting reception rooms and magnificent catering to the breathtaking water views, you and your guests are sure to remember your wedding day forever. Enjoy first class service with all the luxuries and ambience of a private club. Declare your love in a romantic, waterfront ceremony at sunset, out on the patio. Then throw the ultimate dance party indoors complete with exquisite cuisine and breathtaking views. The on-site executive chef will work with you to customize a menu that will capture the essence of your celebration, whether you’re having a small intimate dinner or a lavish black tie affair. The dedicated wedding coordinator will work closely with you throughout your planning process, from the most reputable vendor recommendations to the icing on your cake, no detail will be overlooked. Discover timeless elegance you have been dreaming of at Lighthouse Point Yacht & Racquet Club. There is no rental fee for the reception but there is a food and beverage minimum applied to all events. The venue allows 5 hours of event time excluding set up and clean up time. The set up fee for a wedding ceremony is $650 and includes an extra hour of event time. Additional hours can be arranged for a fee of $400/hr. The average wedding cost at Lighthouse Point Yacht Club is estimated at between $7,410 and $14,177 for a ceremony & reception for 100 guests. Steeped in Old World elegance and charm, the Historic Needham Estate - located in downtown Fort Lauderdale right on the water off of Las Olas - offers a regal and unique venue to create an exceptional experience on your wedding day. One of five famous structures designed and built by Francis Abreau on the New River in the 1920s, it mixes history with luxury and style - spiral staircases, shimmering chandeliers, and gold ornate details truly complete the look. Exchange vows outdoors on the manicured landscape beneath the palm trees and gorgeous facade of the building - which also proves to be an ideal backdrop for your wedding photographs. Later, eat a deliciously prepared dinner and enjoy cocktails either indoor in the historic, ornately decorated living room or outdoor under twinkling lights with a view of the New River. Either way, guests will laugh and enjoy your special day in this elegant villa - truly an unforgettable venue. Flexible set up start time. Early morning can be arranged. Events must end by 10:45PM.. The rental fee ranges from $14,330 and up to $33,500 and up for a ceremony,cocktail and dinner reception and includes 4 hours of event time excluding set up and clean up time. A refundable security deposit of $2,000 is required. Please inquire with the event coordinator to purchase additional hours. The average wedding cost at The Historic Needham Estate is estimated at between $24,020 and $25,813 for a ceremony & reception for 100 guests. Situated in the heart of Fort Lauderdale on the exclusive North Beach, Hilton Fort Lauderdale Beach Resort is an elegant paradise. With stunning views of the Atlantic Ocean, the resort offers a scenic setting for your wedding day. The resort reflects a contemporary style featuring natural elements to highlight the exquisite aquatic and beach surroundings. The ballroom is decorated in rich shades of blue and sun-drenched hues, natural stone, and neutral tones—the ideal canvas to display your personal style with fresh tablescapes, cuisine, and décor. The outdoor Sunrise Terrace boasts a panoramic view of the Atlantic Ocean and is the ideal setting for capturing the best of this tropical destination. Dig your toes into the sand at your beach ceremony, or gaze over the ocean from the terrace while you exchange vows. From orange sunsets to the moon hanging over the waves, Hilton Fort Lauderdale Beach Resort offers the best of its beautiful location! Flexible set up start time. Events must end by midnight. There is no rental fee for the reception but there is a food and beverage minimum applied to all events. The venue allows 4 hours of event time excluding set up and clean up time. The set up fee for a wedding ceremony is $750 and includes an extra hour of event time. Additional hours can be arranged for a fee of $500/hr. A nonrefundable deposit of 25% of estimated event costs is required upon booking. Estimates provided by Wedding Spot based off of the Silver wedding package. The average wedding cost at Hilton Fort Lauderdale Beach Resort is estimated at between $19,170 and $24,123 for a ceremony & reception for 100 guests. The W Fort Lauderdale is a premier wedding location on the white sandy coast of Florida. This chic hotel will take care of each moment of your wedding celebration. Imagine wedding your love on the beach in a casual exchange of vows by the surf. Or you may use the W’s outdoor terraces with panoramic ocean views for a ceremonial space. Perhaps you will enjoy cocktails by the pool before venturing into one of the W’s stunning ballrooms. The W Fort Lauderdale will work with you to transform their large event space into the wedding vision of your dreams. The Team at W helps to develop everything from custom wedding room scents to the perfect floral arrangements. The staff’s extreme attention to detail guarantees a bold reception space that will have your guests in awe. As you dine and dance into the evening you and your loved ones will be filled with wedding bliss. State-of-the-art audio and visual technology will have you dancing till you drop. Luckily your bed will not be far from the party, when you celebrate and stay at the stylish W Fort Lauderdale. Flexible set up start time. Early morning can be arranged. Events must end by 2:00AM. There is no rental fee for the reception but there is a food and beverage minimum applied to all events. The venue allows 5 hours of event time excluding set up and clean up time. The set up fee for a wedding ceremony ranges from $1,000 to $2,200 and includes an extra hour of event time. Additional hours can be arranged for a fee of $12 per person per hour. From the first champagne toast to the final toss of the bouquet, make your wedding dreams come true at the Riverside Hotel. With an array of stunning venues that range from a lush garden setting to an elegant ballroom, nothing is left out at this spectacular venue. Exchange vows on The New River Patio. The space features a cobblestone walkway leading to a waterfront patio surrounded by swaying palms and majestic yachts. After the ceremony, host your reception in either the Himmarshee or New River Ballrooms. Enjoy signature cocktails with hand-crafted hors d’oeuvres while taking in spectacular views of the Fort Lauderdale skyline. These magnificent reception rooms also offer great city views. Whether you’re planning a large gathering or a more intimate event, the Riverside Hotel can accommodate all sizes and styles of weddings.Their full-service Wedding Concierge will guide you every step of the way – from the cake and seating arrangements to the decorations, so you can relax and relish in this special day. Flexible set up start time. Early morning can be arranged. Events must end by 1:30AM. There is no rental fee for the reception but there is a food and beverage minimum applied to all events. The venue allows 5 hours of event time excluding set up and clean up time. The set up fee for a wedding ceremony is $800 and includes an extra hour of event time. The fee for a ceremony only wedding is $1,200. The average wedding cost at Riverside Hotel is estimated at between $18,775 and $22,357 for a ceremony & reception for 100 guests.